There are two formula strengths to address problems with unruly curls and two formula strengths to address problems with coarseness and frizz. The system uses silk proteins, wheat bran lipids, Vitamin E, and Joboba oil to smooth out the rough areas of the cuticle, leaving hair soft and supple, smooth, shiny and conditioned. These benefits last up to five months. As it makes the hair so much more manageable, it will also save you countless hours of styling with blow-dryers and hot-tools, which will positively change your lifestyle as well as your hairstyle. 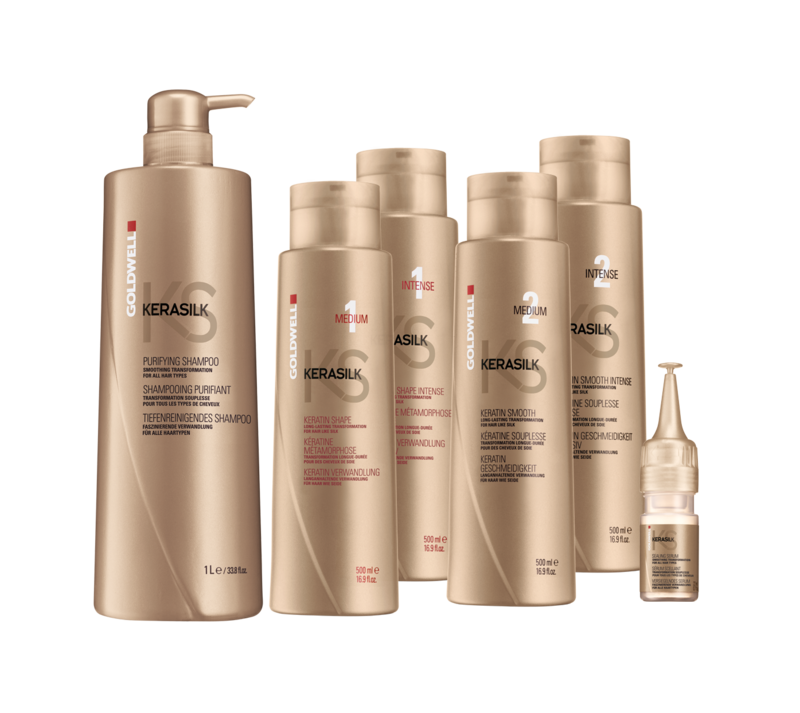 The Kerasilk Keratin Treatment Service provides long-lasting transformation into perfectly smooth and soft hair for up to 3–5 months. The secret: high-performing KeraShapeTechnology. Simply fabulous!